Virgin Trains are painting the script of heart-warming Christmas classic, ‘It’s a Wonderful Life’, along the length of its route from London to Glasgow. The initiative seeks to show how powerful simple acts of kindness can be, particularly around Christmas. The platform text will include online links to simple ways to intervene when someone is struggling with poor mental health. 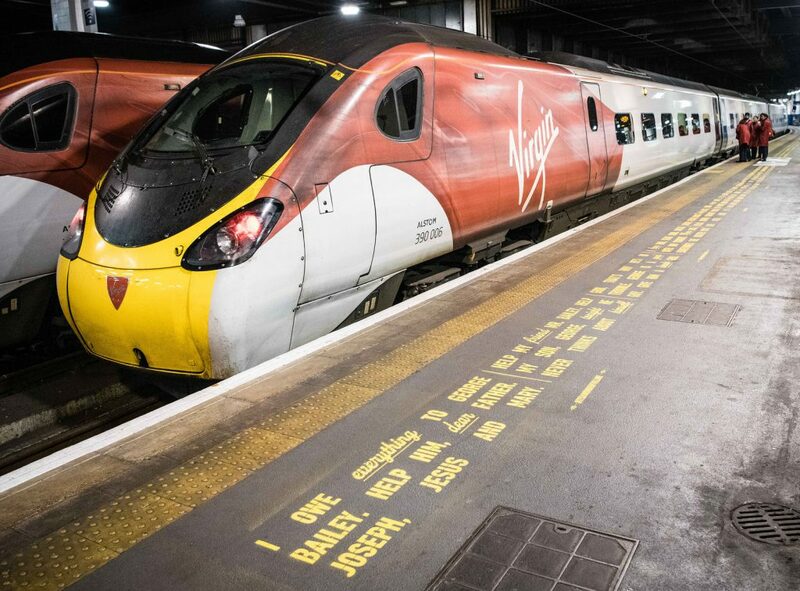 The campaign has been developed in partnership with Virgin Trains charity partner Rethink Mental Illness. 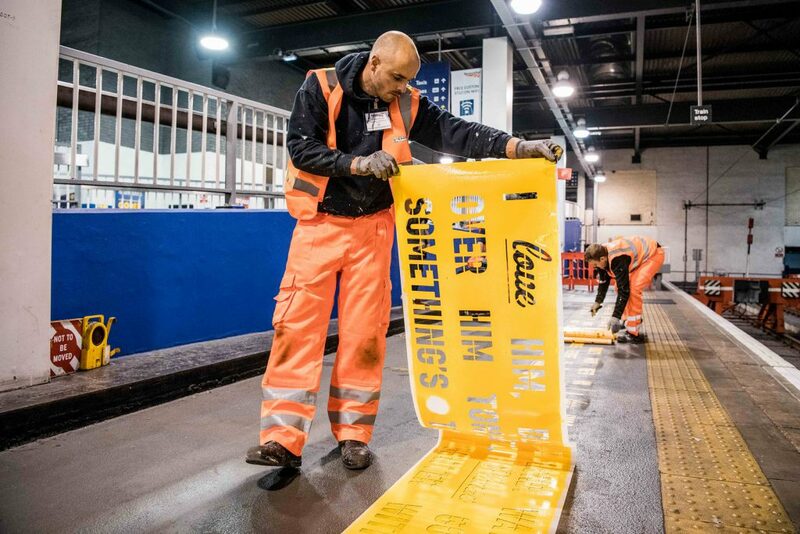 The script will be 7.5km long and painted next to the yellow line along platforms running the length of the Virgin Trains route. The script from the opening scenes of the well-loved film will be unveiled at London Euston on Thursday 22 November.